I could fill this blog post in with my highlight reel, the best most Instagram worthy posts, but that’s not what this year was about for me. 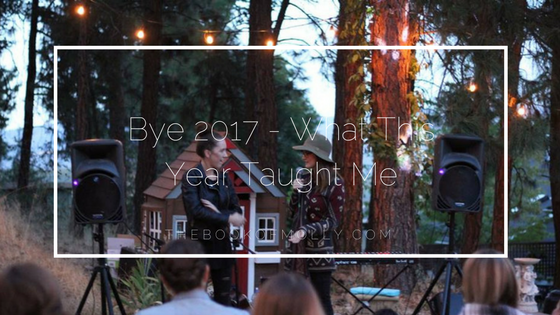 Instead, I’m opening my heart to you and I’m going to tell you what this year taught me. Pretty much all of my life I’ve had guy best friends. Minus my two closest girlfriends (Hi Jasmine and Sonia if you’re reading this.. I love you). I’ve always found it easier to be friends with guys. Some of the most important people in my life are men. I can go to them when I need a listening ear, an adventure or someone just to chat to. Those friendships are timeless to me. They mean the world to me and I’ll always hold those people and those friendships close to my heart. But when I moved to Kelowna, something happened. I’ve become good friends with one guy, but all of my other friendships have been with females. It was like the universe was telling me that I needed to open myself up to friendships with women. That I didn’t have to be scared, I didn’t have to feel the feelings of comparison or the fear that they secretly hate me, or are going behind my back and saying hurtful things about me. The universe was telling me that I needed to learn that sometimes friends lift each other up, instead of secretly ripping them apart. My friendships in Kelowna with women haven’t been completely easy though. I’ve lost a couple of really close friendships and although I’m heartbroken those have ended, I understand that life continues on. Friendships don’t have to sadly last forever, but I learned valuable lessons from those women and had some crazy, awesome adventures with them too. In 2017, with the creation of the Kelowna Sisterhood, I’ve had the opportunity to meet and connect with so many incredible women. I’ve met some of my closest friends through Instagram and I’m committed to spending the time and putting in the effort to grow and nourish these friendships this upcoming year. As women, let us not allow our hearts to harder with the fear of comparison. Let us not fear women and let us instead open our hearts, our schedules and our minds to forming deep, vulnerable connections with women. My most valuable moments in 2017 were connecting with the amazing women who inspire me daily. Whenever I’m around them I feel honoured to be their friends, to feel their passion and power coming through and it excites me to get to stand by them and cheer them on. Thank you to the women who have hugged me, loved me and helped me throughout 2017. To the ones who cheered me on at my half marathon, came to my first ever event and to the ones who kept connected with me even though we don’t live close by anymore. You women are amazing, incredible souls and you are the women who taught me to stop fearing females. Cheers to us and may your 2018 be full of meaningful connections with other women.